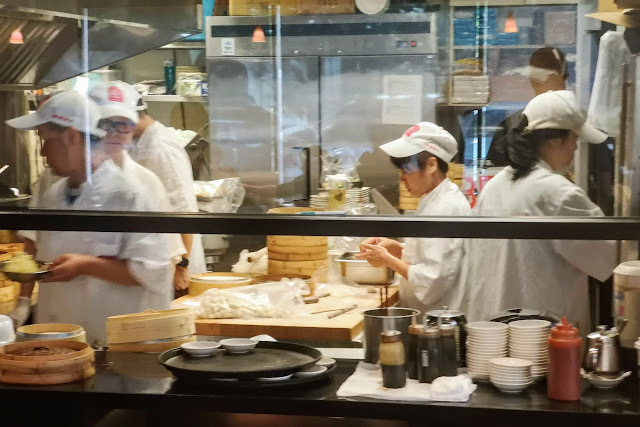 My nephews love wonton and my brother loves dim sum, so when I took a day off to hang with them on their visit from Calgary, we went straight to Dinesty Dumpling House. While they are open minded and will try anything, I felt the pressure of ordering for the table. I wanted to be sure that they tried something new but I knew I had to stick to some familiar tastes in case the new stuff didn't connect. that I was really not expecting (this owing to have eaten far below par wonton soup in the past). 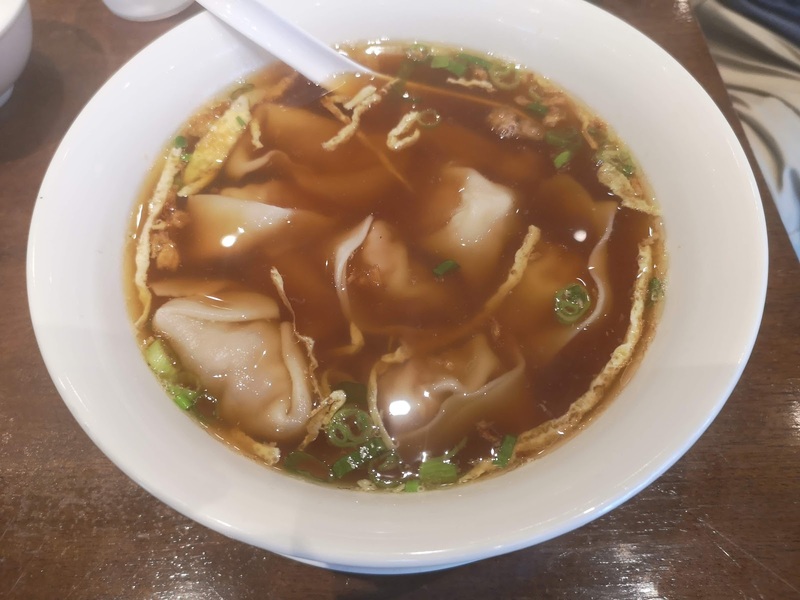 The wontons themselves were large and meaty with wonderful noodle wrapping. It went over pretty well with the boys too. 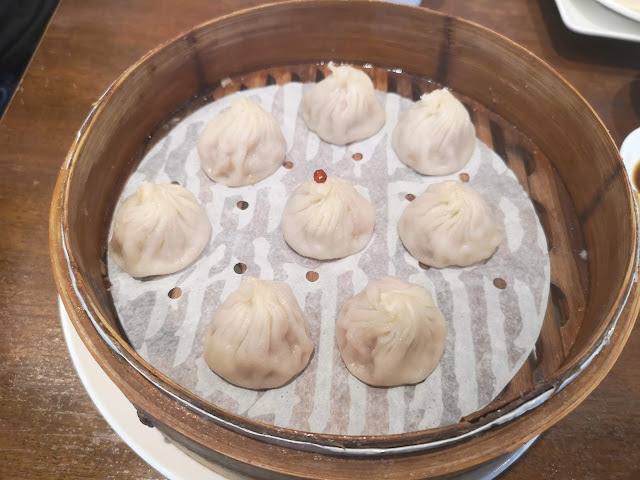 Soup dumplings were next and these went over well also. 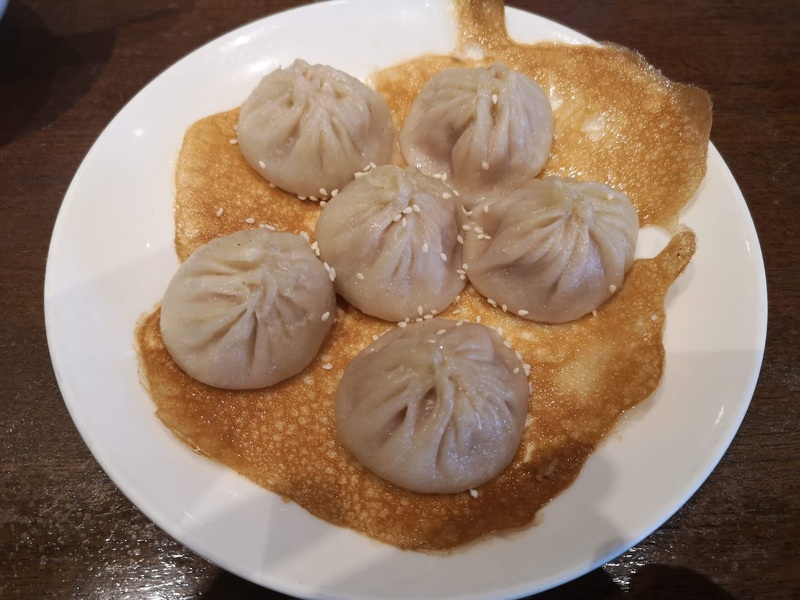 These were smaller than some of the Xialongbao that I have had in the past but this made them a single bite affair. Like the wontons, the pork inside were very tender and flavourful and the soup was just a quick tasty accent. The noodle wrapping was not overly thick nor too thin. I'd say it was just about right. We tried the pan fried version also which completely surprised me. The fried part mean a crepe on which the dumplings were placed. You basically tore or cut your dumpling away with the part of the crepe on which it rested (they were stuck to the crepe). An interesting idea, I'm not sure if its traditional or innovation. We liked it either way! Beef Roll also fell into the category of familiar and did not fail to please. 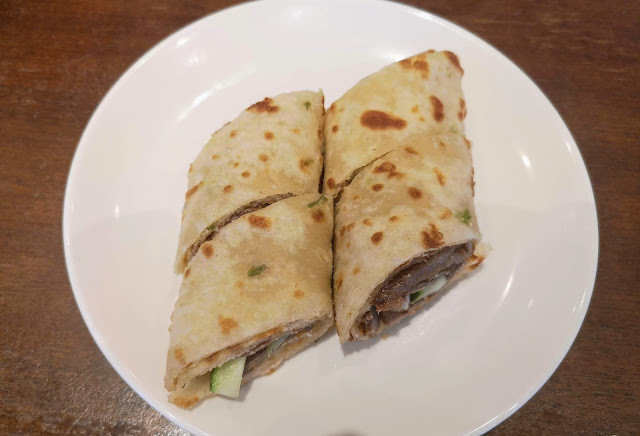 Nicely fried pancake, crunchy vegetables, decent beef and just enough hoisin. 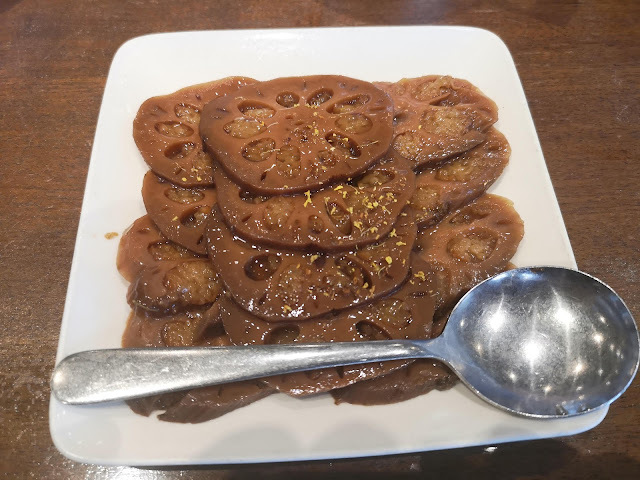 Under the heading of something new (but just barely), we tried Honey Lotus Root. This one did not win over the masses and after everyone tried it the rest of the dish became mine. That's OK because I really enjoyed the sweet tender slices. 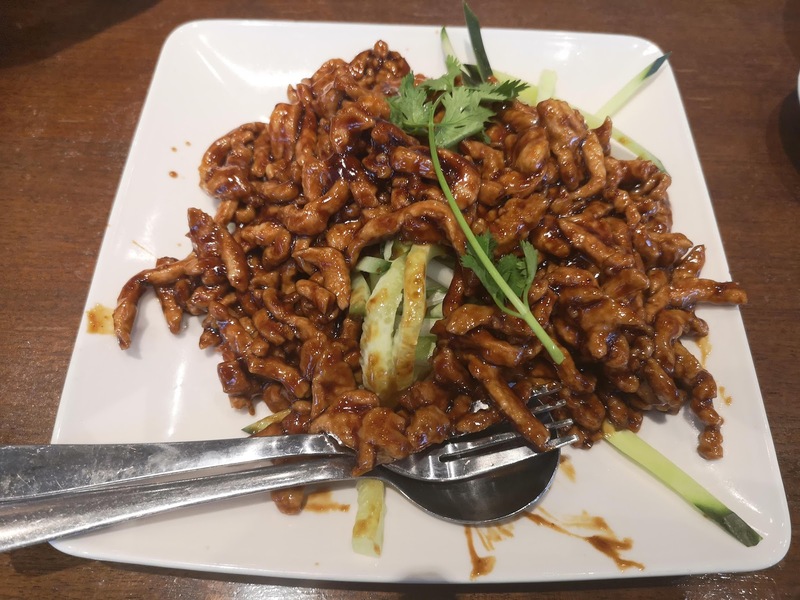 I can't help but think they would have enjoyed lotus root if it was served in some more crunchy form but this one was well cooked and more potato like in texture. Finally, we had Shredded Pork with Hoisin Sauce + Pancake and everyone enjoyed this. Wrap some pork and vegetable in a crepe and roll it up. What's not too like! 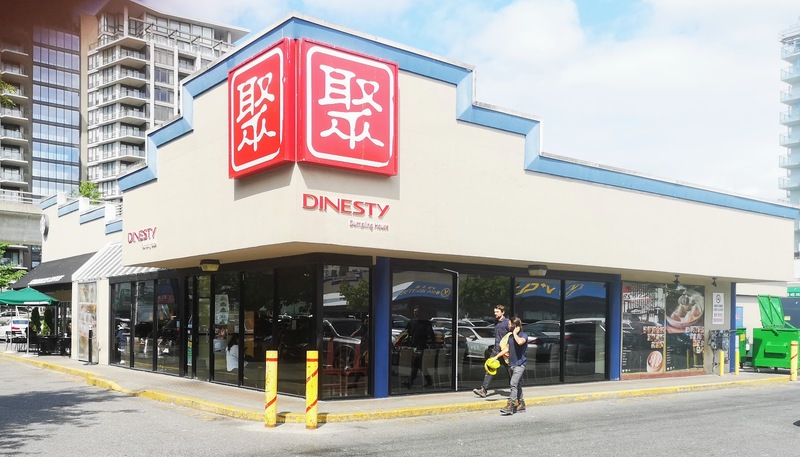 Dynasty Dumpling House has an extensive and interesting menu that I would have enjoyed exploring further. Well, there's always next time! 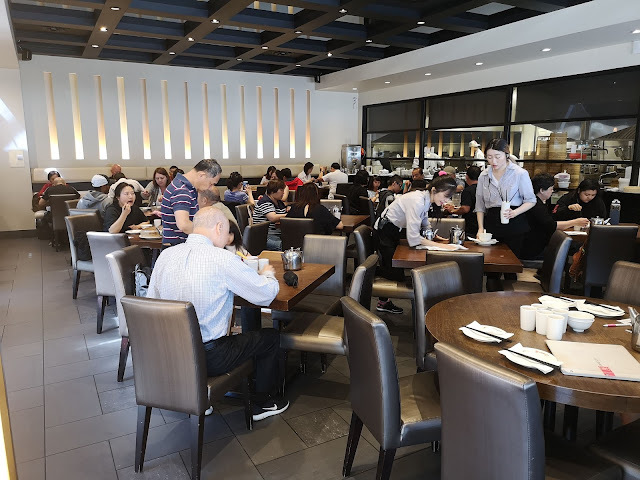 Service was more attentive than I expected with someone rushing in to replace my nephews chopsticks when they spun out of his hands and onto the floor! Its nice to be able to see the folks in the kitchen preparing the dumplings too! There is no question about where your food comes from! I will be back with my partner too try some more at Dinesty Dumpling House.